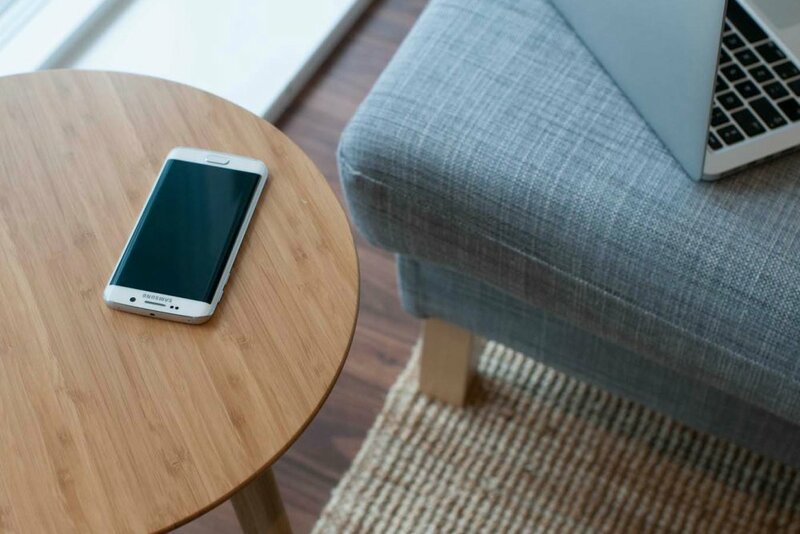 London-based Fonesalesman, an expert with wireless charging solutions, just recently announced its new product – the FurniQi side table, a classy piece of furniture with wireless charging power. Looking at it, its design is plain, just like an ordinary table. It is the first for the FurniQi collection which was made from Mao Zhu bamboo and is infused with Qi technology. The bamboo material is sturdy, yet pleasant to touch. It contains 4 bolts, a hex key, 2 interlocking leg pieces and a table top. The two round charging pucks beneath the tabletop transmit power. For the power source, it is using a standard USB that runs to each puck and are intently made to have the same color with the wood to have it pleasing to the eyes. Generally, this side table is easy to assemble from opening its box to a complete table, all set to charge one’s device. The FurniQi side table can be used as a bedside table or a hallway table – however one desires to use it. The company guarantees that this will naturally blend with any fixtures at home or at a workplace. It is also a perfect add-on furniture to an office. So now, are you excited to welcome this powerful furniture into your home? 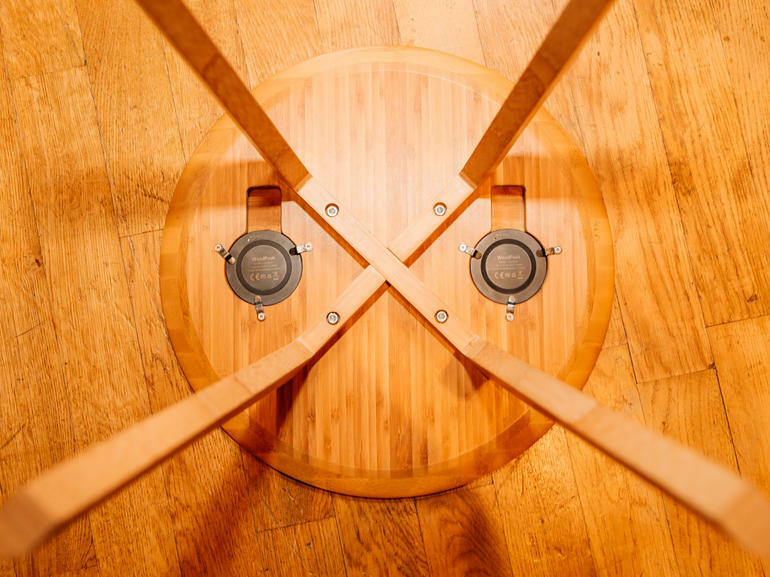 If you like the FurniQi side table, check out Indiegogo on October. Fonesalesman mentioned if this campaign will do well, they will be giving free tables in time for Christmas. Pricing for this side table is not yet known, but it would probably be similar with the IKEA products’ pricing. 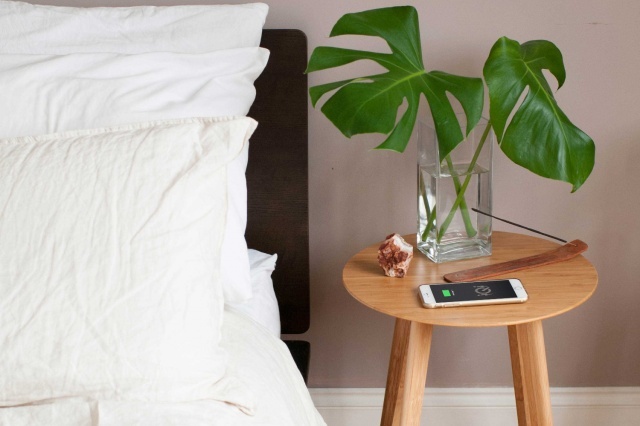 Wireless charging technology allows users to easily drop their phones to charge and then simply pick it up if they want to go. Thus, we can say that it’s a smart and convenient choice of charging for our phones and other gadgets. This effortless way helps us to move forward from the world of cables and wires to a wireless realm of possibilities. After all, this idea of wireless charging is not new but it has yet to be perfected. It is still on the process of assessment, observation, evaluation, experimentation and a lot more actions to ensure that is the best invention in the modern time.. Consumer awareness has doubled over the last twelve months, hence people are now thirsty for what is yet to come. I can’t wait for this to become a standard one day! Imagine how different life might be! Especially if this technology is applied to all units such as laptops and etc! As far as I remember Ikea is about to release such lines of furniture as well and there will surely be serious competition!